Time to get out the Dads of Dance Calendar and Celebrate 2008! MERRY CHRISTMAS FROM EVERYONE AT STEPPING OUT DANCE FACTORY. To all of our wonderful students and their families, may we extend our wishes for a truly Magical Christmas, happy & safe holidays and an Incredible New Year. Looking forward to seeing you all dancing through 2008. PEACE!! Congrats Cast of "UNDER THE BIG TOP"
Ok here we are, my kids are counting down until Santa comes and I am counting down until we fold up THE BIG TOP for the year. Don't forget, if you are in 1st half please report to the stage manager at 2.30pm with hair & make up ready and in costume. You will need to meet in foyer. The tiny tots are to be delivered to the faculty about ten mins before the show starts and we will whisk them backstage for their curtain call. Students performing in the second half are to report to stage manager at the commencement of interval. Bunnies are to report to Miss Rikki who will take them backstage at the start of the interval to get them in the zone for their big OPENING act. ALL STUDENTS WILL BE REQUIRED BACKSTAGE AT THE START OF "CARNIVAL" SO THEY CAN TAKE THEIR FINAL BOW FOR 2007. After our Finale, we will have our 2007 Presentation of Awards?? Who will be our lucky recipients?? Very hard decision because you are all special and all SUPERSTARS. We enjoyed the last of our dress rehearsals yesterday with the friendly faces of Trangie. The kids looked amazing and special thanks to all the mums for travelling to Dubbo to ensure that your child is ready for Saturday. We know that it is a big effort but the smiles on your kids faces said it all. Our Little Learners class also rehearsed yesterday and they looked so cute. Our little men Vance, John and Joshy are real heartbreakers. (look out for a cameo from one of my fave little loves of my life, Cale. )The problem is not getting Cale onto the stage - IT IS GETTING HIM OFF!! Great to see all our Little Learners girls looking so utterly adorable in their tutus. I think there will be a big awwwwwwwwww from the audience. Other notable awwwwwww moments will be the Baby Elephants, the Bunnies and The Animal Parade. They might be unpredictable but they sure are cute. Check out Brinley looking very Miss December. Big thanks to Brinley's mum Kara for sending me a picture of Brinley from her impressive dress rehearsal. Brinley will make her stage debut this Saturday in "UNDER THE BIG TOP." Brinley's famed class of BUNNIES will open the second half and hop into your heart. They are just gorgeous and so excited to be performing for you. Watch out for Brinley's boom boom hips and super cute smile coming to a stage near you very soon. Don't forget to send me your pics everyone. 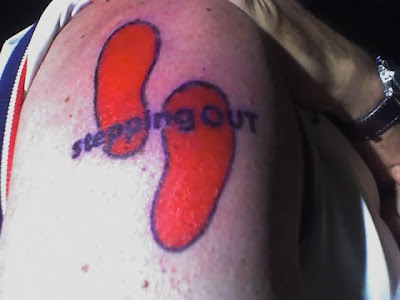 Stepping Out has so many superstars! Fab news! Bec Richardson was awarded Dux of Bunninyong Public tonight. We are so proud of you. Our little women are proving that you can have it all!! Bec has danced with us for a long time and is one of our Performance team members and also a member of the USA team. Bec is a very committed dancer (and obviously student) and best of all she makes us all laugh with her wit! From all at Stepping Out, our Congratulations!! GO GIRL! YOU ROCK! There I think it has been proved, dancing stimulates the brain......how else can we explain all these amazing young people. Check out Bec dancing up a storm on Saturday in our Concert. In other academic news, Onny Slack-Smith, Abbi Bartlett, Lucy Roberts, Apryl Rose Jones and Jasmine Lodding all wore their caps and gowns tonight to graduate from Pre School at Little Learners. These little girls will also be performing on Saturday! We can't wait! Congratulations to our awesome cast for a spectacular show today. Miss Leesa is an amazing woman. Today was Orange's debut performance and if today was any indication big things await our Orange performers. You all looked like seasoned professionals and we were very proud of you all. Please email me your pics so I can add to our blog. Special thanks to our Dubbo students (and mums and dads and posses') for making the trip. It was fantastic to see you in that beautiful theatre. I can't wait now for our Dubbo show- how exciting!! Big thanks to the Orange theatre and the sound and lighting technicians for a job well done. Thankyou also to Miss Emma, Miss Jacinta, Miss Rachael (Orange's very own) and of course the outstanding Miss Leesa who proved today, like a true pro, THE SHOW MUST GO ON!! What a thrill it was to be at Forbes yesterday for their Dress rehearsal ? I was so blown away by how far the kids have come in 12 months and so proud of our Forbes teachers, Miss Jacinta and Miss Emma. Congratulations on all of your hard work and dedication to the kids. They really looked amazing.................Leesa and I aren't all that easy to impress but I can tell you, we are just so impressed with the standard at Forbes. It was great to see all the kids and we can't wait to see you on stage today. I am just about to hop in the car to go back but thought I should post my happiness at what I saw yesterday in rehearsals. GOOD LUCK GIRLS!! Miss Emma had told me stories about a little girl I taught in 2006 who every week says "Where's Miss Rikki?". I was so excited to think that I had made such an impact on a little four year old and so I went over to little Maddi when I first got there and said, "Here I am??" She burst into tears and ran to Miss Emma and kept o shooting me fearful glances. I tried to tell myself she was just overcome but I think maybe she thought who is that crazy lady?? Anyway, I still had a great time seeing you all. Miss Leesa did too. We are so fortunate to have so many special little people in our world?? I better go and make the mad dash. This is going to be one of those busy weekends. Forbes today........Orange tomorrow (I have just spied Archer who is using next weekend's backdrops as a means to catapault himself skywards!!! ARCHHHHH!!)UPDATE!! just got home and though it was a long day it certainly was a successful one. Congratulations to a very talented cast. You were perfect and made everyone very proud of you. A big pat on the back to Miss Emma & Miss Jacinta for all your effort in making today hugely successful. Fabulous teaching was evident in every routine and it is an absolute credit to both of you. Special thanks to a lovely audience (thanks with the packing up too!!) Thanks Gail for everything. See you all tomorrow in Orange. We need a tour bus. Thanks kids and Mums (and Dads and grandmas !!) The kids looked sensational. We are so excited about Concert. All routines looked amazing so just imagine how you will be on the 22nd December. We will be puffing out our chests for sure. We really appreciate everyone's extra special efforts in what we know is a busy and chaotic time of the season. I promise you it will all be worth it. Good Luck to Miss Leesa and our delightful Orange cast for Dress Rehearsal tomorrow. I will be in Trangie teaching but will be thinking of you all. We are looking forward to Forbes on Saturday and Orange on Sunday. GO TEAM!! I was a proud mum (and dance teacher) sitting in the Civic Centre tonight at the MAGS 2007 Presentation. Aside from the occasional day dream about how the stage would look on Dec 22nd with this or that, I was overwhelmed to witness quite a few Stepping Out kids up on the stage accepting Academic Awards. How can it be possible that our dancers can be so clever too?? Brains, beauty, personality and rhythm and co-ordination!!! Congratulations to Katie Rice (Citizenship Award- Junior School), Yr 3 Academic Awards- Amelia Rice, Immy Slack-Smith (go girl!! ), Year 4 Academic Awards- Katie Rice, Alex Gemmell, Samantha Wallace, Year 5 Academic Awards- Paris Burns, Chess Award- Katie Rice (I am intrigued-katie we need to talk) Silver Badge Award- Amelia Rice and Junior School Vice Captain for 2008 Amelia Rice. I know Millie will use her powers for good and not for evil. Well done Girls. I was so proud of you all and yes concert stress and lack of sleep meant I demonstrated my pride quite openly!!!! I am sure we have Stepping Out kids shining at schools everywhere so don't forget to tell me so I can brag about you. Education is so important!! Fantastic to see so many mums and daughters at the studio today for the Hair & Make up Day!! Sorry about the confusion about who was opening up...hope you enjoyed the sunshine while I made an emergency dash to studio (I didn't have a key) and thanks to Gail for dashing with me. In the lead up to Concert, we don't have much spare time....today was in fact my last day off until Concert!! I was thrilled to see some of the Trangie mums and their gorgeous girls (go Charli, Louwana, Cleo, Ella!!) Great to see everyone sharing in something that I just love and that's preening. There was a time, long ago, (I think somewhere before Baby no 3 and 4) when I wouldn't have dreamt of leaving the house without time and attention to "the look." Now I glam up very rarely but hold onto my bright lipstick until death do I part..................To all the little girls out there, have fun with it. You are little princesses and on December 22nd, it is all about you!! Thankyou to the mums who want their little dancers to look good and feel like superstars. Little Ella Kearin left the studio on the way to a movie looking very Lindsay Lohan. Just think mums, how lucky we are to have our daughters.....these are the days we remember. I have memories of my mum tying my ribbons on my ballet shoes, fixing my tiara and telling me how beautiful I was in my tutu. And to the little girls, please stand still on the morning of December 22nd, don't whinge......know your mummy is more nervous than you and is trying her best. Thankyou Sue Ellen, Regina, Patriece, Rita for lending your expertise. May you all one day yield liquid eyeliner like a mighty swordsman. Check out the pics below. Well done to all of our Coonamble students and their teacher Miss Brittany. I was fortunate to be out there today with Gail to see everyone hard at work. Thanks to Patriece Grant and Bree for lending a hand and some fabulous mums who also joined in the efforts of making today a success. It is a huge learning curve for everyone out there being Miss Brittany's and Coonamble's first Concert. Well done to all the mums who did their best with make up and hair. We promise you it gets easier. We thought all the kids looked beautiful and looked like they were having a ball. Official countdown- 1 week to go. Our best wishes for a fabulous week of classes and rehearsals. I got to spy some fantastic talent (including 2 great boys or should I say 3, Cale surprised me with an impromptu dance routine on stage and I have to say, "He's got the music in him.") So, Coonamble get ready to ROCK!! 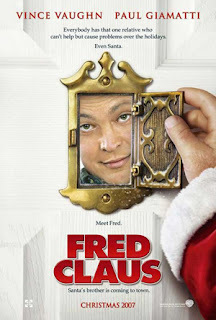 ORANGE MOVIE PREMIERE NIGHT "FRED CLAUS"
Congratulations to Penny Challinor - the winner of Orange's "JELLYBEAN GUESSING COMPETITION". 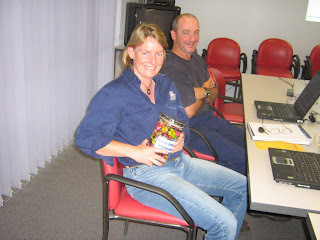 Penny is pictured here with all 975 jellybeans. Hair & Make up notes out soon. STEPPING OUT ON TOUR Dubbo are holding a HOW TO workshop in our Dubbo Studio on Sunday, 2nd December. Cost is just $5 per participant and is aimed at new mums who may be slightly overwhelmed by the thought of applying liquid eyeliner or curlers or any of the other weird and wonderful requests on our notes!! Hair & make up is so important and especially with professional lighting, it is an absolute must!! Once you get the hang off it, it is a cinch!! I am from the school of thought, that "MORE IS MORE" so if in doubt apply MORE!! 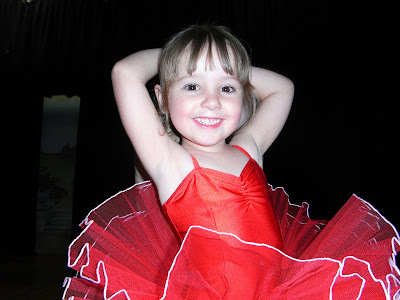 Yes, your child may look like a mini drag queen off stage but on stage, the effect will be GORGEOUS!! Plus, every little girl deserves to feel like a princess. I love it all. Usually the hardest thing is getting your little performer to sit still. And yes, false eyelashes can be painless and simple too. (the beauty of false eyelashes is that you don't need as much eye make up ) It really is just practise!! Our dance shop will be able to supply hair pieces- why put in rollers when you can clip on bountiful, beautiful, bouncy curls....see gail if you would like to order. (we have hair swatches to match your hair colour!! )Anyway, don't stress about it, it is all FUN!! Your dancer will look fantastic but more importantly FEEL FABULOUS!! The lead up to Concert is notoriously crazy. There are the moments of despair, the moments of inspiration and the miraculous moment when it all slowly seems to start taking shape. I am very happy to report that we are entering Phase 3, the much anticipated "a-ha- our vision is ALMOST complete..........". As dance teachers with artistic temprements, phase 1, that phase commonly known as "despair" is perhaps not our finest moment but certainly in retrospect, some of our funniest. We really do love it, the adrenalin surge as the concert looms and then the madness of rehearsals. We love seeing you all dressed up and we love watching you perform (even if it is always in the wings...............) There is something so magical about Concerts. We are starting to get very excited. It is a hard feeling to explain but I know Miss Leesa knows what I mean. Good Luck to all of our students in these important weeks leading to Concert. (we want to encourage you to do your very best so that means the occasional "NOOOOOOOOOO AGAIN!!!" or "SMILE!!") Good Luck to the parents too- we know it is a hectic time but it really is worth it. Stay tuned for more exciting concert developments. Other appearances by our kids was GIRLS DAY IN, Saturday November 10th (thanks to Amber Bunt, Courtney Hart, Millie Rice & Brandi McGuire and special thanks to Narelle Bunt for compering our performances. 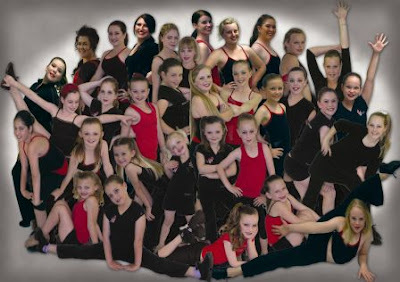 STEPPING OUT will also be performing at the Dubbo Chamber of Commerce Christmas Fair on December 6th at 5.30pm. Here I am with Leesa and Daniel. Daniel is a professional dancer/ model who has a very impressive resume. Daniel's musical theatre credits include "We Will Rock You", "Fiddler on the Roof", "Priscilla Queen of the Desert" and he is just about to start "SHOUT! The Musical." 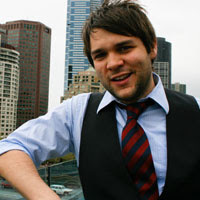 He has also appeared with Kylie Minogue, Sophie Monk, Marcia Hines & a host of other performers. Daniel is cousin to Stepping Out mum & friend, Trudi Ferrari (mum of USA TEAM member Cleo) and was fortunately visiting his grandmother in Trangie and decided to light up our Launch with his presence. Despite his success and gorgeousness, Daniel is just a great guy. He has no ego whatsoever and I hope that his humility will act as a huge inspiration to our students. He happily chatted to the kids, gave autographs and posed for pics. Even more exciting is that he has planned a return visit once his musical theatre season finishes to give workshops in Dubbo. WHOO HOO!! * LAUNCH COMMITTEE- Miss Leesa (plus her musical tribute to the dads=AWESOME! ), Gail Berwick, Regina Rice, Julie McDonald, Lynne Duffy, Kerry Campbell, Anne O'Connor, Sue Ellen Hart, Roseanne Murray, Sonya O'Connor and yours truly. GO TEAM!! * JOHN RYAN- our close friend and MC for the night!! Thanks John, your dulcet tones added something extra. * TOM "AUCTIONEER" SUPREME- Tom doesn't need a surname, he has now entered legendary single name status. He certainly got those wallets open. Thankyou so much!! * FABULOUS STAFF AT THE PASTORAL- Greg Pilon & his team were simply outstanding. Thankyou so much for your generosity and willingness to help us- nothing was too big an ask. * ANG WINMILL & EMILIE OWENS- These gorgeous girls certainly worked so hard all night on the door. How fantastic to be greeted by their beautiful, smiling faces?? * USA TEAM- You guys are champions in every way!! * Parents of the USA TEAM- Thanks for the sensational food and enthusiasm!! * SONYA O'CONNOR- I think Sonya needs a post all of her own. Sonya you've done it again!! Sonya once again proved to be a bottomless pool of genius and creativity. She masterminded costumes, photography, layout, graphics and created a calendar that far exceeded our grand expectations. Thankyou so much for using your powers for such good!! * SUE ELLEN HART- Sue Ellen in cahoots with the ever happy Gerard co-ordinated the sponsorship and created the advertising for each business. Thankyou so much!! * DUBBO BUSINESSES- We were overwhelmed with the support given to us by local businesses. Thankyou so much for being a part of this and assisting us with your kind sponsorships!! * OUR GUESTS- what a raucous fun bunch you all turned out to be?? Thankyou - it was incredible to be in a room full of such positive energy. Oh yes the atmosphere was electric!! SO YOU THINK YOU CAN DANCE?- LOVING IT!! Dubbo fundraising contingent "Stepping Out on Tour" have recently had a Krispy Kreme Donut Drive. Thankyou to everyone who supported us in our quest for MORE DONUTS!! I am sitting at home counting down the hours until I can demolish a whole box. Luckily, I won't have to wait much longer with PICK UP on Wednesday, 31st October at the studio between 7.15am-8am and then later at 4pm-6pm. I am a bit of a Homer Simpson when it comes to Krispy Kremes........my Wednesday dance classes beware, I will probably be looking a tad glazed myself.........mmmmm donuts, can life get any better?? Ok Dubbo get ready to party at what promises to be Dubbo's Night of Nights......TICKETS GO ON SALE THIS MONDAY, 29th OCTOBER at our studio, 55 Wheelers Lane. Tickets are just $10 and include supper. You could be one of the very first in Dubbo to catch a glimpse of the highly coveted and critically acclaimed "2008 DADS OF DANCE" calendar. Get up close and personal with the "DADS" as they hit the red carpet at the PASTORAL HOTEL, NOVEMBER 9th at 6.30pm. Calendars will go on sale on the night at a cost of $20. Now you can discover first hand what all the hype is about......An auction will be held later in the evening of each month's framed shot. Bidding wars are likely to ensue. Special thanks to all of our sponsors who feature throughout the calendar. We know this is going to be a fab night so come along and join in the mayhem and merriment. For more information, contact yours truly on 041 336 1724 or email me at rikki@steppingoutdance.com.au. Bring on the champagne and toast the launch with us. The New Year has never looked better. Ticket price includes: Movie ticket, pizza, popcorn and a drink. Sounds awesome Girls!! I will be making a special appearance on Saturday, 10th November at Aaron's Hotel for my baby cousin's 21st!! HAPPY BIRTHDAY TRISANNE!! Our FORBES CONCERT will be staged on Saturday, 15th December at Forbes Town Hall at 2pm. Our DRESS REHEARSAL will be held at Forbes Town Hall on Friday, 14th December between 4 and 7pm. Tickets will go on sale on SATURDAY, 10th November between 1 and 3.30pm. Here is the delightful Jade Bunt and Ondine Slack-Smith celebrating after their first Ballet exam. Don't they look gorgeous?? The girls really enjoyed their exam and came out with big smiles and giggles. Onny quote, "At first I was really scared and then it just got funner and funner." Jade wanted to do it all over again because she enjoyed herself so much. Pictured is Miss Brittany Grant from our Coonamble studio with two of her talented dancers. The girls are pictured at Wellington Eisteddfod after receiving Highly Commended for their Duo. Congratulations to all involved. What an achievement- in this your first year of dancing? Miss Brittany was incredibly proud of you. "DANCING WITH THE FEET IS ONE THING BUT DANCING WITH THE HEART IS ANOTHER." This lovely young lady is Amber Bunt and she is pictured with her swag of trophies won recently at the National Titles for Baton Twirling. 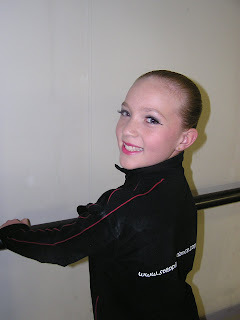 Amber is one of our very talented Dubbo dancers. Amber is an Eisteddfod soloist, member of our Performance Team and USA team and also the recipient of 2006 Excellence in Classical Ballet trophy. Amber competed in the DANCE TWIRL and blew the judges away with her routine, charm and personality. I was very excited to get a text from the stadium as Amber stood on the podium to inform me of this incredible achievement. Stepping Out had helped with Amber's dance twirl so we were very proud.......Well Done, Amber!! not many people can say they have a national title. Doesn't she look gorgeous?? Dubbo Concert "UNDER THE BIG TOP" tickets will go on sale on Thursday, November 8th at our studio, 55 Wheelers Lane. Tickets will go on sale on this date from 6pm. Ticket prices will be $18 Adult and $14 Concession (children & pensioners.) Tickets sell out fast and there is always a big line up first day so remember first in, first served. Stepping Out Dance wear was launched today. Here we see Beanie, Immy & Onny taking a peek at our new dance shop. Check out their outfits- exclusive looks from our new dance shop! Shop open to public from Monday!! The shop looks fantastic- thanks Miss Leesa, Gail & Bec for all your hard work in fitting and merchandising the store. I am so excited!! I was squealing saying, "retail therapy is now my neighbour...." Miss Emma was beside herself and she has already got 2 pairs of new dance sneakers. Most exciting was the launch of our own dance wear range (modelled to perfection by the lovely Miss Sabine, Imogen & Ondine.) I want it all!! Just a reminder that the performers will be photographed Saturday, 13th October for the DADS OF DANCE CALENDAR at 3pm at the studio. Miss Leesa and I will be there to pose our gorgeous girls. Come dressed in your nicest black & red dance clothes, have that hair runway ready and smile your way into our hearts!! HOW EXCITING!! Dubbo's first fundraising venture will be a Mitre 10 BBQ. Call in and say hello to some of our mums and dads and performers as they sizzle up a snag or two all in the name of dancing our way to the States. Coming soon is the exclusive DADS OF DANCE calendar launch!! The calendar is so close to being whisked off to the printers and on your walls. Get up close with these dads before they become mega-stars!! Our Launch will be held on Friday, November 9th at the Pastoral Hotel. Families are most welcome so bring the kids!! Tickets will go on sale very soon. Children will be admitted free and $10 for adults (light supper included and good time guarenteed!!) This is sure to be Dubbo's night of nights! I swung by the studio today to see Miss Leesa, Gail & our stylist Bec Brown hard at work creating magic in our Style Factory. I had the four kids in tow (ouch!!) and so could could offer the obligatory "Wow! !- this looks great" while they did all the hard work. As I was leaving Dan Berwick was arriving with some pretty serious looking tools. I can't wait to see the transformation tomorrow. Sonya dropped in with some pretty impressive looking posters. "Who are these glamazons?" I shrieked as stunning picture after picture unfolded before my unbelieving eyes?? Yes, our Dads of Dance, Hollywood most certainly will be calling. Anyway, check out the shop......OPENING SOON!! Sadly the Australian public voted and it is with much sadness that I farewell Jacob from Australian Idol. I do have to say however that he exited the show like a true performer should. He exhibited dignity and class and as sad as I was to see him go it was a beautiful television moment. I was disappointed to see the apathetic Marty still sitting sheepishly on the couch. I hope none of our students ever give up or see something as too hard, out of their comfort zone or too much of a challenge. Parents of young girls with mobile phones who think lethargic surf dudes are cool please confiscate their phones before judging next week. I can't sit through another week of Marty mournfully bleating out a tune. Jacob has now left the building........I hope he turns up on our screens, on my ipod and in our music stores very soon. Fantastic to see so many fabulous dance devotees at our Workshop yesterday. Miss Leesa, Miss Emma, Gail, B Boy Dave and yours truly had a wonderful day. I think one of my old war injuries flared up....but still great to spend a day doing what you love to do and that's dance. Miss Leesa met some gorgeous little super stars in the making with the Tiny Tots and Miss Emma and I had great fun with the Drama kids. I saw so much talent in all of the classes and we had a few adults really show the kids what it is all about ...(no names but she ensures all the dancers in Orange look fab!!! !You go girl!) Anyway, there were quite a few kids who I would have gladly stowed away in my car to bring back to Dubbo. Thankyou everyone for joining in with us to celebrate Dance! Let's do it again sometime. Gerard Hart sporting the latest must have accessory for the dedicated "Dad of Dance." Immy turned 9 today!! Happy Birthday my little Moggy- you are growing up too fast! !Hope you had a fantastic day. Stepping Out Dads will stop at nothing to get their kids to Disneyland. Laura Keizer is seen above adjusting her dad's headpiece in readiness for Lights! Camera! Action! 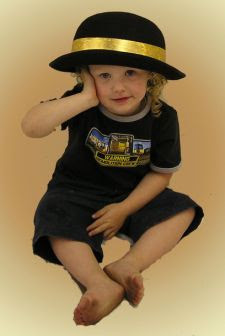 Here is my little man Cale who was down at the studio today while his dad strutted his stuff for the camera. I was very proud of all my boys today. David really worked the camera. Cale took every photo opportunity that he could while little Arch was happy to scoot about the dance floor in full crawl flight. He is now pulling himself up to standing position and I am most impressed to report that he dances too. He has a head wobble and infectious grin like no other. I see true star quality. Sonya had an early call out with Tony Campbell. Like a true model, he was in the make up chair early at 7.45am. He sprung to life playing the dual roles of "Danny" and "Wild Sandy" from Grease. Sonya remarked on Tony's versatility and ease at jumping into these characters with such style and conviction. His audition shot showed signs of a supple back and his chorus line shot can only be described as smouldering. Next up was Ian Burns and it was his turn to laugh as all the women in the room enviously looked at his legs in heels. Narelle did his make up and the effect was stunning. He shone in front of the lights doing poses in tribute to Chicago's Cell Block Tango while Paris and Tracey cheered him on. He almost looked too good.......most unfair!! There was just a moment of nervousness when I asked "so are you as flexible as Paris?" as I tried to devise an audition pose for him. Anyway, could our dads get any more gorgeous....we weren't sure but everyone in the room knew that we were working on something very special. A man in trenchcoat, dark glasses and floppy moustache edged his way into the studio and took his turn at the make up station. Soon the shackles of anonymity were abandoned as he edged into his leotard and tights. Jennifer Beals never looked as good as Robert Duffy in his turn in the spotlight. He looked amazing. Each shot he made his own and I think even Lynne had to marvel at her husband's transformation in "A Chorus Line." He had legs and he knew how to use them. Our next "Dad of Dance" was the formidable Scott Murray. He brought "Bootmen" to life and was very patient with the tricky camera angles needed to get the shot. I returned to the room at one stage to see Sonya on her back cockroach style trying to capture Scott in mid flight. I quickly retreated. Scott is a very masculine man and so much to Roseanne Murray's delight he agreed to don a tutu. Her laughter could be heard from Studio 3 but Scott looked great. He twirled for the camera and looked phenomenal as a blonde. At one stage, he looked in the mirror and shrugged and said, "i look allright" to which I replied "but would you buy yourself a drink?" Energy was depleting......I made a dash for emergency supplies of chocolate and coke for us all. I did have to endure Immy, Amber & Beanie skipping and singing throughout the Mall but it was what we needed to recharge and head into the afternoon. Katie Bennett, giggling madly led her dad David into the studio. He momentarily appeared blinded by the lights. I asked the kids to bolt the front door. He, I feared could be a runaway. How wrong was I?? David, apart from being incredibly cute was a natural performer. His silver jumpsuit was shown off to perfection with every pose he created before the camera. He took my breath away with his audition shots and his pleading "I hope I get it" to the camera is worthy of an Oscar or at least a Logie nomination. It seemed the cute boys were just going to keep rolling in with the arrival of Miss Emmy J and James. James looked so fetching as Billy Elliot I wanted to adopt him. He also had to create the dancing girls in Billy's class and so needed to be about seven little naughty tutu clad girls. Emmy J contorted him in front of the camera and shouted "more turn-out!! ", "softer arms", "James, Smileeeeeeeeeeeeeeee" and he handled it all with grace and aplomb. Our final Dad of Dance was Mick Schofield. I suspect Mick wasn't told about the make-up, the heels or the wigs but in "the show must go on" style he did it all. He was such a great sport and looked unreal as Kevin Bacon in "Footloose." Kevin never looked so good. It was an exhausting day. Sonya looked totally "spent" on a physical, emotional and creative level. I knew however, I could not rest. David's photo was the next day and I needed to go home and rehearse him. "Hi Honey, I am home........time for your close-up." The first day of photo shoots has now passed. We were fortunate to start the proceedings with true professionals in the form of Wayne Brabrook, Will Bunt, Andrew Erskine & Glen Keizer. Our "DADS" were consummate professionals in every capacity. Leesa and I were on hand as "pose" coaches and felt that we had most willing and pliable talent in our hands. Wayne had an early photo shoot Friday morning as he was jetting off for the long weekend (or so he says, our spies say no.....Sports Illustrated called and he was being flown to some exotic destination for the swimwear edition.) We always knew that the "Dads of Dance" calendar would be a stepping stone for these fathers but we didn't think their celebrity status would be so instant. I walked into the studio to hear Leesa coaching Andrew (aka "nobody puts baby in the corner") and was taken back by her cries of "no, arch your back more, no Andrew we need a little more in your eyes, yes perfect, beautiful Andrew.") I threw in a few humble "mores" and "goods" but strangely Leesa was right, after a while, the dance teachers in us took over and we were both intent on getting the best pose and photo of the "Dads." Our artistic team comprised of Sonya "Red Fox" on costuming, styling and Photography. Narelle Bunt is hair and make up ( at one stage, Narelle had to dash home as Will's outfit needed gold tipped false lashes and they weren't in her kit.) All the fathers have around four costume changes so as you can imagine, the shoots are long and exhausting for these men but there were no signs of mood swings or artistic temperaments. Even when Andrew fell from his stiletto heels, he still got back up there. Leesa was ready to catch him next time. Big feet were stuffed into tiny shoes. It was all quite surreal to be sitting in our dance studio and see the make up station, the lights and the camera (but not for our dancers but for our dads.) Will Bunt did not disappoint, even managing to take on the highly coveted Leesa "POSE OF THE POSES." This pose has long been held by myself but especially Leesa as the quintessential POSE. After watching Will take on many different poses and looks with grace and ease, Leesa whispered to me, "i think i know the man who can handle "the pose." With little coaching, Will jumped into character and gave a performance that literally brought tears to Leesa's eyes. It was "blue steele" (zoolander fans) intensity and it was magic. Meanwhile, Glen had abandoned his motorbike helmet and leather jacket and was swathed in white tulle as "Swan Lake." He sat patiently in the make up chair as Narelle accentuated his eyes and transformed him into the ballerina I wanted to be as a little girl. He was beautiful. Darienne has danced as well and I suspect that she has been coaching Glen at home- there is no way that he could have shown such line and poise if Darienne hadn't been giving him classical ballet tuition at home. His plie' was perfect. He was fantastic in the ballet shoot but really came alive in the audition shots, pouncing and cavorting for the camera like a Pussycat Doll. He looked like a giant Holly. Sonya has run herself ragged in the lead up and the costumes are just stunning, the artistic direction of the individual months are genius and her commitment to this project unfaltering. Well Done. I always knew it was going to be fabulous but last night I witnessed true "art." Stay tuned for a behind the scenes look of the making of the calendar today. Photo shoots starting at 8am. Labels: Glen doing the "Dying Swan." Onny would like to take this opportunity to remind everyone that the premiere of High School Musical 2 is on this Saturday, 22nd September on the Disney channel at 6.30pm. Onny lives for High School Musical and knows every song word for word and every dance routine. I am kind of pleased that the next instalment will provide new material for her but also kind of scared. I know I am about to embark upon 24/7 High School Musical 2. She will demand that the soundtrack is played exclusively in the car. (while Cale crys for Wolfmother!!) We will be force fed lines from the movie. The tv will screen it ad nauseum. Onny will become Sharpay-ish (David interjects to say "will become! !- don't you mean is!!"). Onny is the proud owner of the Sharpay, Gabriella & Troy dolls. She has the dvd, the soundtrack and the live concert soundtrack. I have just ordered her High School Musical pyjamas (to entice her to go to bed earlier so she is less Sharpay-ish!!) Gail had better be warned too......she might think she can get work done on her lap top at the studio but Onny will seize it as an opportunity for further viewing. Poor Gail has sat through the original nearly as many times as I have. Even David knows all the songs!! Anyway, Lucernevale will be hosting Onny's premiere party on Saturday night...............and imagining Onny's expression when she gets to see the High School Musical pep rally at Disneyland. We need your help to get to Disney.As you are aware we are lucky enough to have a team of 36 dancers from our studios in Dubbo and Trangie who will be travelling to Disneyland next year. We have started a fundraising group that will be doing a variety of activites over the next twelve months and are looking to raise money to help get the girls to Disney. One of our activites is a Dads of Dance Calendar that we have some of the Dads dressing up in costume (for their beloved daughters) and having photos taken to put together to make a calendar. We are asking businesses to sponsor spots on the calendar pages which will give you 12 months advertising. There will be 5 spots per month. We are asking for a donation of $50 a spot for the four side spots and $100 for the bottom spot. If you are interested we would love to hear from you. You can email Suellen on gscshart@hotmail.com or ring her on 0427 859632 with your pledge or let Gail know and she can pass on your information to the committee. We will be going out into the community next week so if you can let us know by this Friday 21st September if you would like a spot that would be great. CONCERT- Drum roll please. ………Our theme this year is UNDER THE BIG TOP! We will be delving into the entertaining world of the circus and carnivals to present you with the most spectacular Concert ever. Rehearsals will start Term 4. Costume measurements will take place in class from Monday, 24th September. Jazz students have paid a levy each term for their costume. Classical Ballet, Contemporary and tap students will need to bring a $20 deposit for each costume required in a clearly labeled envelope to class from Monday, 24th September. It is very important that deposits are paid and accounts are up to date to ensure that your child’s costume can be ordered and commenced. All payments are payable to our costume designer, Sonya O’Connor. Stepping Out will not take any responsibility for students who do not have costumes due to accounts being unpaid or deposits not paid. It is also important that students are in class during measurement week. Please`let the studio know in advance if your child will be absent. We also need to know in advance if your child will not be participating in our Concert. For new families, please be aware that our Concert is a very special experience for your child. We have fabulous costumes and employ the services of professional lighting technicians, sound engineers and backdrops to ensure a truly memorable day. A professional video/dvd is available of your child’s performance and we have a photographer at dress rehearsal to capture your child in costume. Colin Rouse will be doing both our photography and video/dvd this year. TICKETS FOR CONCERT WILL GO ON SALE early December and we will give you plenty of notice of date and time. Please be aware that tickets sell out fast and that there is always a line up for the first day of ticket sales. Our Concert will be held at the Dubbo Civic Centre on Saturday, December 22nd and will commence at 3pm. Our 2007 Presentation will be held after the Concert. COSTUME COLLECTION will be held on Sunday, 9th December. Performance Students (eisteddfod groups) will be performing in the Orange Concert on Sunday, 16th December at the Orange Civic Theatre. 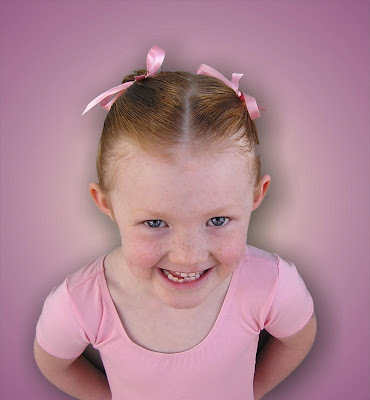 CLASSICAL BALLET EXAMINATIONS will be held at our Dubbo studio on Friday, 19th October. There will be classes during the holidays for all of our exam candidates. A separate note with all your exam information will be sent home to those involved with examinations. NEW STUDENTS-we have welcomed lots of new students this term. Welcome everyone. If anyone knows anyone who is interested in joining us in 2007 please remind them that as we are about to commence Concert, we would like interested students to join up as soon as possible to avoid disappointment. 2008 enrolments are now open. We hope to have 2008 forms and timetables out before the end of the year. DANCE SHOP-Our dance shop will be opened from the commencement of Term 4. Our stock is arriving daily and we have some fantastic dancewear on its way. We are now accepting orders so please chat to us about your needs so that we can help you. 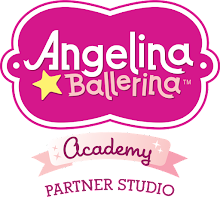 Our shop will stock all of your dance needs and there will be special discounts for Stepping Out students as well as VIP cards for loyal customers. 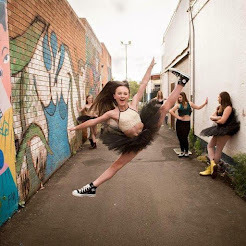 We are very excited as we are able to bring to Dubbo some new and exciting brands and know as dancers and teachers exactly what the young dancer needs to feel and perform their very best. ACCOUNTS- These are now well past their due date and late fees will be added. Please rectify any outstanding accounts immediately. It is very important in the lead up to Concert that all fees are up to date. Any changes to classes for Term 4 need to be made known to Gail now. ORANGE WORKSHOP- Stepping Out has opened a studio in Orange this year and to celebrate we are conducting a workshop on the 7th October. The workshop will run from 9.15am- 4pm and will showcase Classical Ballet, Stretch, Contemporary, Jazz/ Musical Theatre, Tap, Hip Hop, Break dancing and Creative Movement classes. There will be both a youth program (5 yrs- 18yrs) as well as a special Adult program. The entire day of classes is $55. If any of our Dubbo students are interested in doing something in the holidays, you are very welcome to attend. Please see Miss Rikki or Miss Leesa for more information or book in with Gail at reception. HAPPY HOLIDAYS EVERYONE!! Information will be sent home soon about our Concerts, rehearsals and Costuming.......never fear, we run a fairly tight ship. We are still lamenting where 2007 is going but are certainly onto our Concert Season and already making plans for 2008. Yes, it promises to be even bigger and better than this year. i know, I know.....I can hear the cries of "but how??" Just so people remember Dubbo Concert is Saturday, 22nd December (hear those jingle bells....we had better be good!!) and Orange is Sunday, 16th December. Forbes, hang tight, we are still negotiating your dates with venues but we are thinking early December. (will let you know a.s.a.p) In other news, Miss Leesa and yours truly will be undertaking some master classes in Sydney next weekend in preparation for Concert. Stay tuned for Concert themes!! Stock has started to arrive for our shop (check out my new dance sneakers!!! pretty flash hey?) We just have to give our landlord the wriggle on. I can confidently predict that you all will be shopping by the start of Term 4. I wonder who will be the lucky recipients of our VIP cards?! We are overwhelmed by the response to the ORANGE WORKSHOP- so much so that we have opened up a special Adult Workshop so all the ladies and gents can get jiggy with it. I also heard that our Orange Adult class have been invited to perform in the Grand Concert!! The town has been all abuzz with news of their performance. Orange people, get in early to secure your place for the workshop. Places are filling fast and we are really hoping that we can get to meet as many people as possible in this special intensive day of Dance. Anyway, keep those emails and photos coming. it is always fantastic to hear from you. My computer (not the one I am on) is currently in hospital suffering from OVER-USE-ITIS! meanwhile, I am making do with Immy's......next, I could be on Onny's Barbie laptop but just know my dedication to the blog will not falter. Wow- what an incredible morning. Big thanks to the B BOYS for the awesome workshop this morning. Check out the pictures.